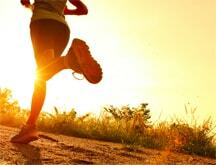 Are you experiencing hip pain when you walk, run or exercise? Is your hip hurting when you sleep or turn in bed? Is it causing you to limp when you walk? Does your hip hurt when you rise from sitting? 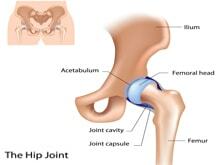 Have you had a hip joint replacement? 1. Hip Bursitis: There is a bursa that is located between the large bone in your hip and your muscles that cover the bone. Occasionally it can become inflamed and cause aching pain when sitting, rising from sitting or lying on the affected side. It is often aggravated by excessive walking. 2. Arthritis: Wear and tear on the hip joints can cause arthritis over time that causes pain and aching with movement and almost all weight bearing activities. Range of Movement of the hip joint is affected with arthritis. In the early to moderate stages of arthritis, physiotherapy treatment can be very effective at restoring movement to the joint and reducing pain. 3. 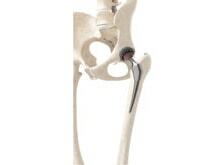 If the arthritis is very advanced, eventually a hip joint replacement may be recommended by the surgeon. Our therapists are trained to identify the source of this pain and the likely stage of arthritis. They will evaluate any diagnostic tests that you have had done and discuss the results with you. They will make recommendations to you regarding the best path of treatment for you based on your individual injury. 4. Muscle sprains and strains: Our therapists will help you to recover quickly and get back to your sport or activity of choice! 5. Fracture: Our therapists are fully trained to assist you with your recovery from a hip fracture. They will closely follow your surgeons’ advice and facilitate a timely recovery from your injury. 6. Hip joint replacement: It is very important to work with a knowledgeable physiotherapist after receiving a hip joint replacement. We work collaboratively with your surgeon to facilitate a timely return to your normal activities of daily living. The best window of opportunity is the first 2 to 12 weeks after surgery. Please call the office to make an appointment as soon as this surgery has been done or is scheduled. 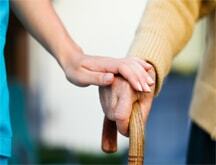 Ideally, we would assess you before the hip replacement has been done if at all possible. The list above is not exhaustive as there are many other possible sources of hip pain. Hip pain may also be referred from the back. Our therapists are trained to fully assess the causes of your hip pain and treat it in the most effective way possible. We have helped thousands of patients to get back to their lives after hip pain. We can help you too! What are common causes of hip pains? 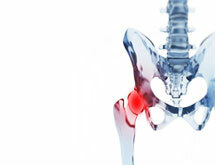 Hip bursitis or arthritis are the most common causes of hip pain. What are the risks involved with not treating hip pains? 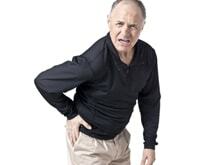 If you do not treat hip pain, it will cause you to walk with a limp. This is turn can cause injury to your knees, ankles, feet or back. What treatments are available for hip pains? Physiotherapy treatments can be very effective at treating hip pain. Modalities, hands on mobilizations and specific exercises can help immensely. When is surgery needed for hip pain? Surgery is typically required when your hip is completely worn out from arthritis. 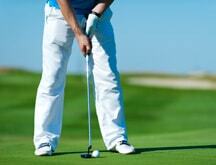 Most people feel pain in their groin area when their hip is worn out. What medical examinations are used to diagnose hip pains? Physiotherapists can easily tell with a short assessment if your hip joint is worn out. We do movement testing. When we see restrictions in certain hip movements, we can tell that it is your hip joint that is affected rather than something else causing the pain such as referred back pain travelling through the hip area.